but you have to get started to be great! I remember how scary it was when I first started to drive. I was seventeen and lived in York, the old one! I wanted all drivers off the road so I could proceed without fear. The whole experience was totally daunting. We all know the scenario. Tentatively moving at 10 miles an hour, tightly gripping the steering wheel, looking straight ahead, foot covering the brake at all times, thinking of the deadly things that could happen. Many people live like this every day. Afraid of what might happen if they let go. Longing to move forward yet still holding back. Take a moment to identify an area of your life where you have the brakes on? It could be in your relationships, career, finance, health, spirituality or personal development. Ready to accelerate? Read on. As a Personal Coach I support acceleration in life with speed and ease. I witness the same obstacles in people over and over again. Three of the most powerful brakes that halt success are fear, procrastination and negative self-talk. Now lets get really clear, brakes do have a function. Would you want to get in a car without brakes, no thanks! We need to have some control and know that we are safe. That’s the purpose of brakes they give the option to slow down or stop whenever needed. Fear also has a purpose. The problem arises when you get stuck in habitual behaviour. Fear: Instead of facing issues, if they arise, we create issues and behave as if they are real. Fear has been defined as False Evidence Appearing Real or Forget Everything And Run. Sound familiar? We fear things that have not, and need not ever happen. Be prepared to release fear and reach for success. The simplest way is to replace fear with faith. Ask yourself this question. “What would I do if I were not afraid? What do you dream of? Remember most things you fear never happen. Procrastination is the art of diverting energy away from success. Energy flows where attention goes. Or put another way, if you say ‘you can’ or ‘you can’t’ you are absolutely right. The person who speaks to and influences you most is you! Yes, you talk to yourself 24/7 a lot more than any other person. What do you say? What stalling negative self-talk are you filling your head with? Negative self talk: According to Dr Phil, of Oprah fame, you speak to yourself in ways you would never tolerate from anyone else. People regularly run themselves down, saying they are useless and incompetent. That’s putting it politely, it can get much worse. So what can be done to accelerate your life? The three greatest accelerators are clarity, confidence and taking action. It’s all about daring to live your best life and moving beyond your comfort zone into the fast lane. Where are you now and where do you want to be in life? What you perceive can be achieved. Visualise to materialise is a powerful coaching tool. Spend a moment visualising a clear image of where you want to be. Clarity makes dreams reality. Create an action plan, a road map detailing all the steps needed to reach your ultimate goal. Planning is an important success tool. If you don’t plan for success you are planning to fail. Step into your confidence. If that’s easier said than done, use a very old trick. Faith it till you make it. Surprise yourself with how effective you can be when you believe in yourself. So much can be achieved using these four simple steps. Hilary a successful actress wanted a husband, someone to share life’s joys with. We worked on her spiritual development. She was already abundant materially. She explored being more openhearted releasing baggage and within less than a year I was attending her wedding. ‘The universe dreams a bigger dream for you than you dream for yourself’ to quote Oprah. I worked with a department manger on inner power and confidence building. He trusted the universe and released his job one day. Had a successful interview the next and now earns £80K as a regional manager. So if you want to make the Rest of your life the Best of your life. Take your foot off the brake now and accelerate your life! Award winning Coach, Speaker and Author. 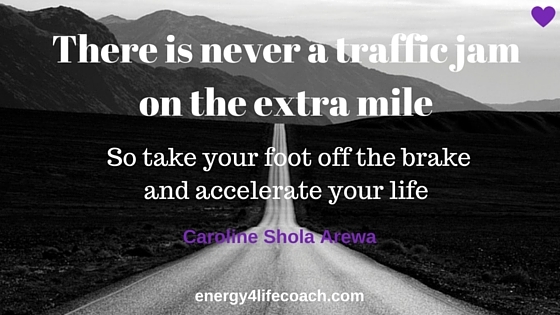 Shola supports people to get their Energy back and Life on track! Shola is the Founder/Director of the popular Energy 4 Life Wellness Coach Training and has appeared on radio and TV worldwide. 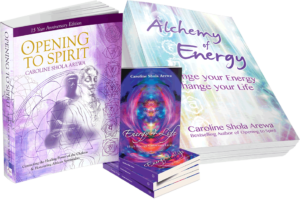 To find out more about, Shola’s books, Wellness Coaching and training programmes and to receive a Free 7-day Email-course on Creating Ease and Excellence in your life and work visit: energy4lifecoach.com and sign up.